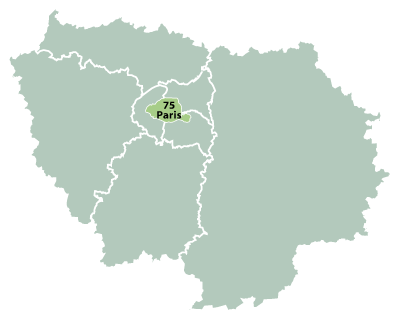 Paris is in the Île-de-France region. 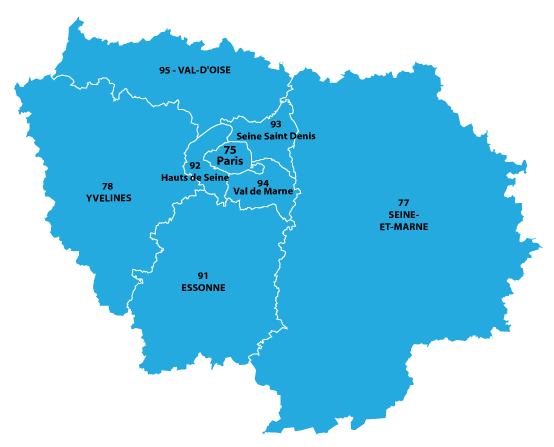 Paris has a population of more than 2 million people, and the city is divided into 20 "arrondissements" (districts) which are numbered 1 to 20. Many of the famous boulevards and city centre buildings where transformed by Haussmann and Napolean III (Charles Louis Napoléon Bonaparte). The streets where made much wider, places and squares where built and the buildings completely rebuilt. The atmosphere was totally transformed, space and perspective being main ingredient such as you can see on the Avenue des Champs-Élysées, whilst preserving historical buildings such as Notre Dame. This also influenced other French cities to change. The night life is rich with the famous cabarets such as the Moulin Rouge, Lido and the Crazy Horse. Gastronomic restaurants offering cuisine of the finest are numerous and at all prices. One of the greatest art museums in the world. Located in the heart of the French capital. The web site offers a very interesting virtual visit of the gallery. Access via the Metro at the station Palais-Royal, Batobus to the Escale Louvre. 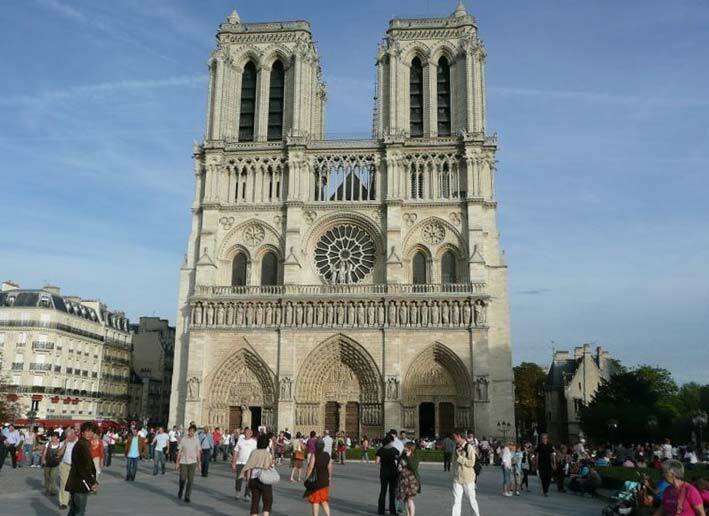 The cathedral of Notre-Dame de Paris was built in 1163 and opened in 1345. The building was severely damaged by fire on the 15th April 2019, the spire and roof have been totally destroyed however the walls and some historical relics have been saved. In front of the cathedral is the "Point zéro des routes de France", the spot which marks the beginning of all road distances in France. One of the most well know land marks in the world. Built by Gustave Eiffel in 1889 for the World Expo, the construction was completed after 2 years, 2 months and 5 days. Reaching a height of 324 meters, built of iron and more than 7,000 tonnes in weight. Once you reach the base of the tower, it is possible to visit the three levels, there is a lift/escalator to take you to each level (but the higher you go the more it costs. If you are more adventurous and would like to avoid the queues, then walk up the metal stair case to level one and or two. Finding the tower is so easy as you can see it for miles, but there is also the Metro at the Trocadero station. Photos of the Eiffel Tower which you can download and use. Routes and itineries for using the Metro in Paris, however the site is not available in English (yet). 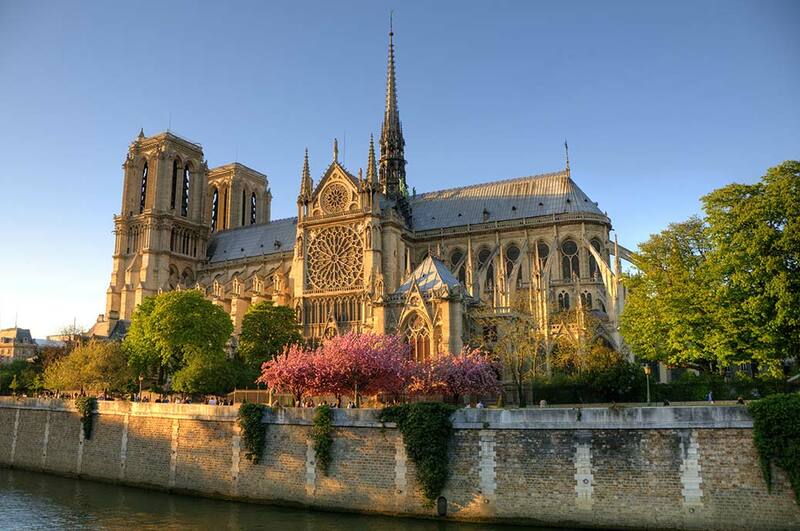 Unique, private escorted tours of Paris and France. Personalized service with a broad range of fascinating tour features.